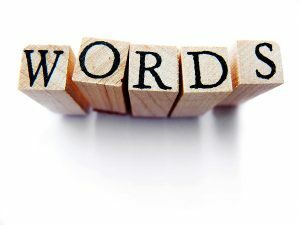 This is a week that illustrates how words have power. Remember when then President Clinton responded to a question with the infamous line about the meaning of the word “is”? Presidential impeachment dangled on a two letter word which most of us took for granted. President Trump attended a “summit” with Vladimir Putin in Helsinki this week. That’s if it was a “summit”. Some said not to use that word. Now President Trump has claimed that he misspoke when he said the word “would” when he actually meant “wouldn’t”. What a difference a correction makes. The word “Would’, according to some was Treason, whereas the word “Wouldn’t” showed love of country. Words can be befuddling. They can be misconstrued or weaponized. Words are misinterpreted. They are inadvertently blurted out in the heat of argument and regretted. Words once said cannot be unsaid, particularly in this electronic age. Often time people come to me discussing their marital problems, and more often then not words have a lot to do with their problems. I do not want to make light of this. I started this blog off with the reflection that words matter. There can be the wrong words said that hurt a marriage. Sometimes that was not the intent. Sometimes words used to save a marriage have the opposite effect. wanted to make a point. We are together more in the summer than during the year. There is time off and time away. We are at the beach or the mountains perhaps even Disney World or places more distant. Because we are home more, at play more. We talk more. When there are problems in the marriage sometime we misuse these family times to shoot a jibe over the gunnel, not wanting to start something we cannot finish but just wanting to let the “other” know we are hurting. Words flung casually beget words flung back. At first, perhaps the words were accidental but the conflagration naturally grows in intensity until there is a wild fire. The point is words matter. When the marriage is in trouble words matter more. Many marriages need to end in the best interest of all. But some deserve to be saved. The point is thoughts and actions should be directed at constructive resolutions in either event. A poison pen, as often as not, kills the author. Use your words intelligently. If there are marital problems talk them through without using words as shrapnel. If you can fix the issues you used the right words. If the conclusion is things cannot be saved, try using words of reassurance. Marriage is a complicated relationship. So are people. So are words. They all matter. Take the time to get it right. Words have power. Use them wisely and enjoy your summer!